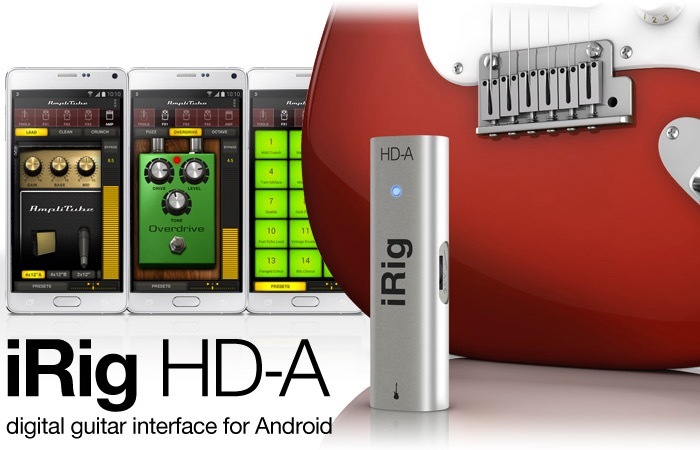 Guitarists searching for a digital guitar interface for Android might be interested in a new piece of hardware from IK Multimedia in the form of the new iRig HD-A. 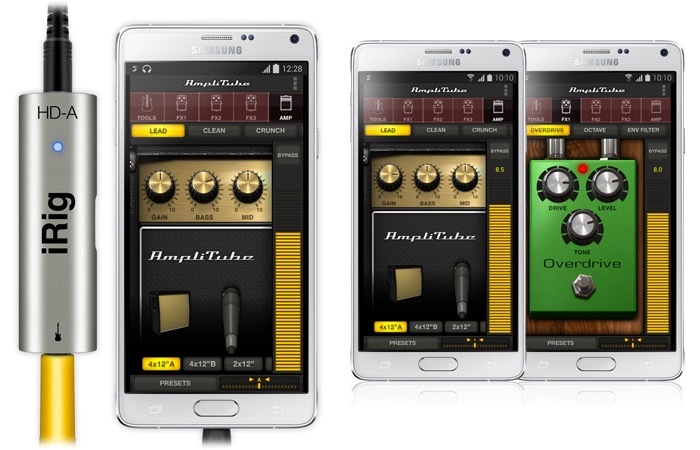 The latest iRig HD-A hardware from IK Multimedia has been designed to be the first high-quality 24-bit audio interface that connects directly to your Android device and PC and is also compatible with AmpliTube for Android. However at the moment the iRig HD-A currently only supports devices that are running with Samsung Professional Audio, such as the Galaxy Note 4 and Galaxy Note Edge. However support for the Galaxy S5, Note 3 and others is currently in the process of being sorted. says IK Multimedia. The pocket sized iRig HD-A offers a premium 24-bit A/D converter for a crystal clear digital signal that’s free from noise and crosstalk, says IK Multimedia. “Plus, its ultra-low-draw power consumption circuitry eliminates the need for batteries – it’s powered by your mobile device or computer. An onboard gain control allows you to dial in the perfect signal level for your instrument and apps, and a multicolor LED lets you know what’s going on with your interface and signal. For more information on the new IK Multimedia iRig HD-A jump over to the official IK Multimedia website for details and full specifications and to purchase for $100.